Located on the 1st floor within the independent luxury fashion boutique, Snooty Frox, the Wild Plum has become one of the most Instagrammable food destinations in Harrogate. 5 stars on Trip Advisor and ranked in the top 5 restaurants of Harrogate, the Wild Plum is a must-visit destination, attracting people from all over the country. Relax and enjoy exquisitely presented home cooked food, lovingly prepared and baked on the premises using only the very best, fresh and local produce. The menu changes daily and caters for all food lovers, taste buds and dietary requirements. Please note, our menus are changed on a weekly basis to reflect seasonal changes and the local produce that is available at the time. These sample menus are just a taster of what’s on offer. Our afternoon tea is prepared using local ingredients and is served Tuesday – Thursday at 2:30pm. With the love, care and craftsmanship that goes in to our afternoon tea, booking is essential. We require at least 48 hours notice and a £10 deposit per person. To book afternoon tea and pay your deposit, please call us on 01423 815 320. It seems Bethany Haresign was destined to spend her life around food from the beginning. Her mother Hilary Haresign was herself a chef before opening her specialist fashion boutique, Snooty Frox of Harrogate. She introduced her daughter to cooking at an early age and Beth was making jam tarts by the time she was three. Beth’s great grandma had a baker’s shop in Hunslet, Leeds, and Beth’s grandma owned a restaurant. So Beth’s love of food and cooking is part of her DNA. Bethany trained at Thomas Danby College, Leeds and won the title student of the year two years running. She then spent a period training with Michel Roux at the Waterside Inn in Bray where she cooked for the Queen as well as many celebrities. 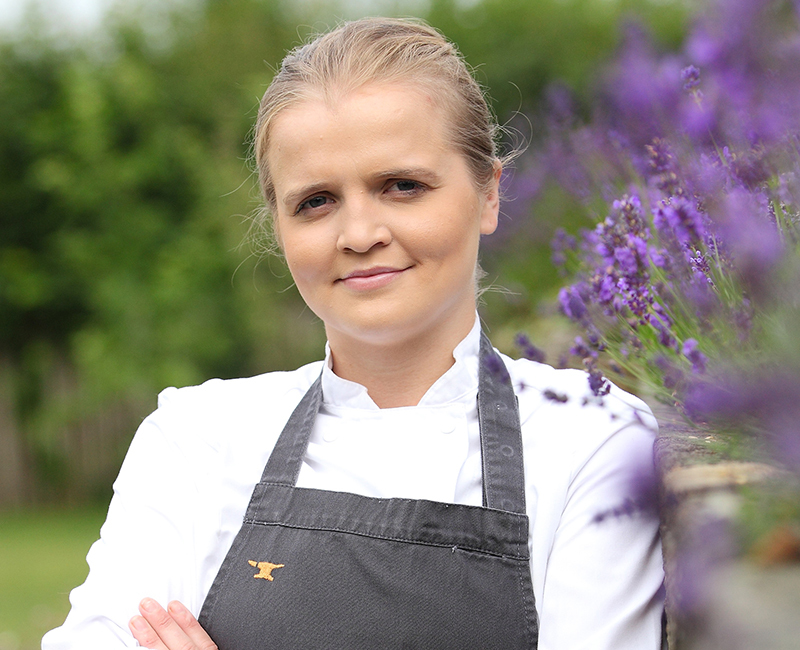 She has also worked with the award-winning chef Andrew Pern at the Star Inn, Harome. Bethany makes everything from scratch using only the best ingredients which are always from Yorkshire or as near to Yorkshire as possible. She prides herself on making customers happy and providing them with the “wow” factor. Taste, flavour and presentation are all really important, as is the challenge to constantly bring something new to the table.